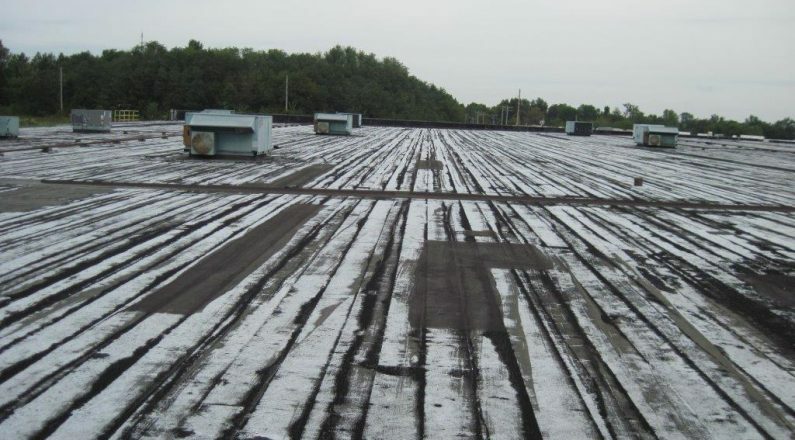 The roof on this building previously consisted of a four-ply built-up roof system with badly deteriorated fiberglass felts. 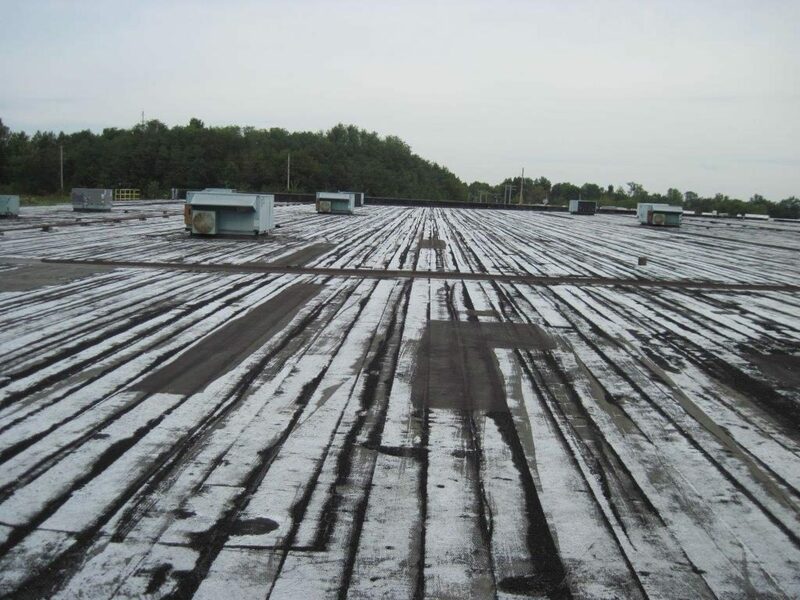 Over time, the sun and heat bake the asphalt out of the roof system causing the felts to rise and become exposed. This roof had been leaking for several years, and the roof system had a lot of moisture in it. 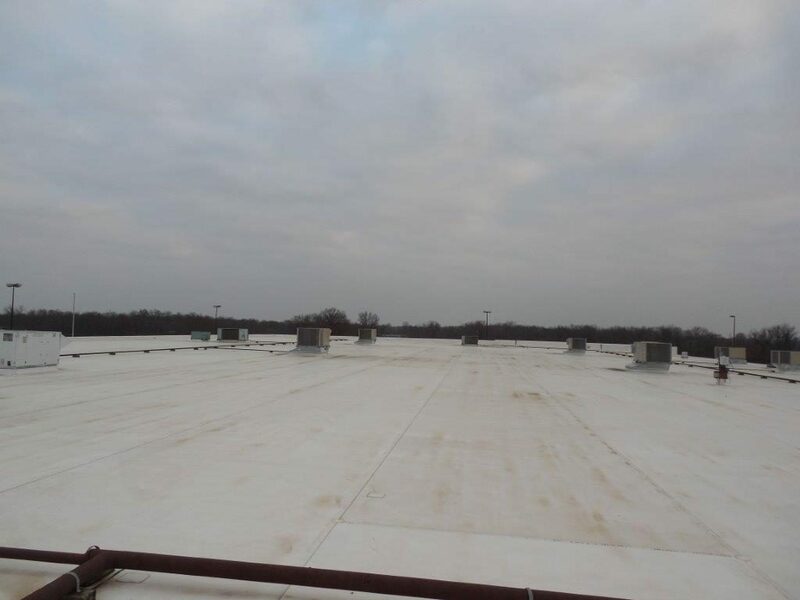 To save the customer the expense of tearing off the entire roof, we installed a Kelly 2001 roof system. 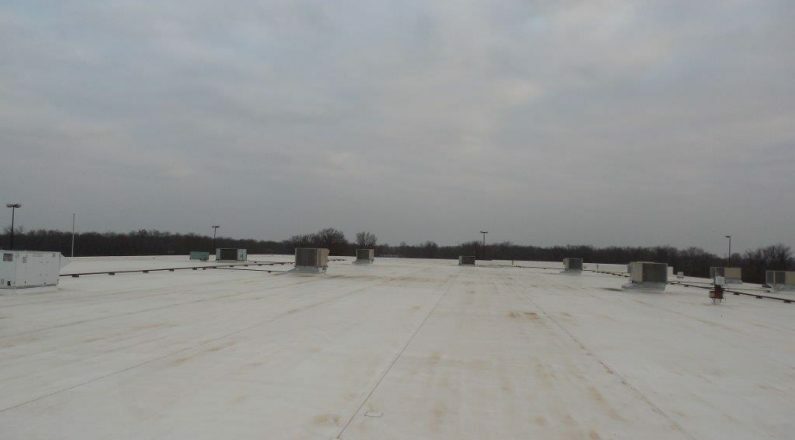 The Kelly 2001 roof system is a negative air pressure roof system, which consists of valves along the perimeter that cause the new roof system to tighten down onto the structure during strong winds. The system is also designed to dry out the existing roof system.